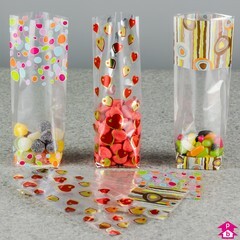 Current ranges include flower sleeves, film front (window) bags, sweet bags and high impact patterned bags. Why not take a look? 3 Products. 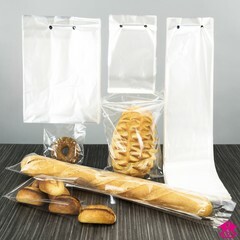 Really attractive patterned bags to complement and promote your product. If you like these bags (and start buying them!) 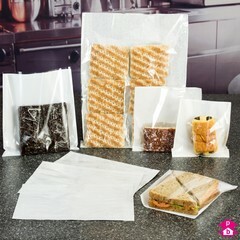 we promise to develop this range with more design options and sizes. Is it a deal? 3 Products. 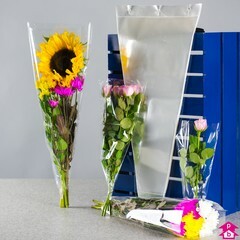 Designed to suit a range of cut flower sizes from a single rose to a large bouquet. 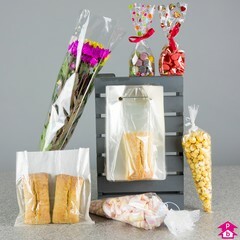 These clear flower sleeves are wicketted together in batches for easy shop counter storage and use. 4 Products. 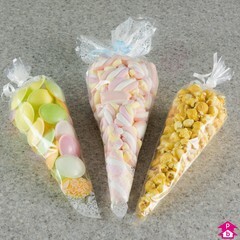 White and Clear traditional candy bags - but also now used to package other items such as beads.